One epic night of togetherness and energy in aid of a good cause, the buzz of the Moon Walk is something you'll never forget. And your preparation is perfectly supported by the motivation – and your gains sustained – by the year-long challenge of #walk1000miles, as these four veterans of both events discovered. Nikki was already doing #walk1000miles when she decided to the London Moon Walk, but found the extra motivation made all the difference. What part did #walk1000miles play in how you did in the Moon Walk? It got me motivated! Without #walk1000miles I would never have done it. How well do you think doing a one-off big effort event and doing a little-and-often challenge like #walk1000miles go together, and why? It keeps you focused on a goal, you go out and walk more often and each time for a longer distance and you enjoy it more because it all counts toward walking 1000 miles. I even walked hills when training for a marathon rather than flat ground. So it was exciting. I've made great friends. I enjoyed the event but I love walking 1000 miles. I've met great people, gained good friends that are there for me, and discovered hills, mountains and countries which are I would have never done – just drove past and never walked up. I'm so grateful for it, thank you! Kate was already committed to do the Moon Walk in London when #walk1000miles came along and keep her motivated during training. How well did you do compared to your expectations? Exceeded beyond all my expectations! I started moonwalk training in Oct 2015 then found about the #walk1000miles challenge in January 2016. Having the walk 1000 miles challenge kept me really focused on my goal for the Moon Walk and it really pushed me on getting out on the dark nights to walk when I probably would be curled up in the couch! Without it I truly don't believe I would of done the required training otherwise and I don't like to fail! How well do you think doing a one-off big effort event and doing a little-and-often challenge like #walk1000miles go together? They compliment each other very well. I think it's great to have something running in parallel like walk1000 miles to keep you focused, it's so easy not to train for events, and I know several people who did not train and suffered as a consequence. What's your personal history with cancer? I've had breast cancer twice and secondary breast cancer in my liver once, so the Moon Walk was A personal challenge for me. 26.2 miles was the furthest I have ever walked in one go and I was very daunted by it and I never thought in a million years I would be able to walk that. But with a tremendous amount of support from #walk1000miles and my determination and the training I crossed the finish line in just under 9hrs. How attached do you feel to #walk1000miles now? What can I say? It's one of the best things I have ever done. An amazing challenge, I have met some wonderful people, some face to face and others through the group. A group of like-minded people who all understand each others excitement of this beautiful world we live in and explore on two feet. I have done meet-ups with other challengers now which have been amazing. Most recently one took us to Colmer Hill in Dorset and as we drove around the corner and saw the hill for the first time we all at the same time went wow with excitement. I wish I could have caught that moment on camera but will stay in my mind forever! 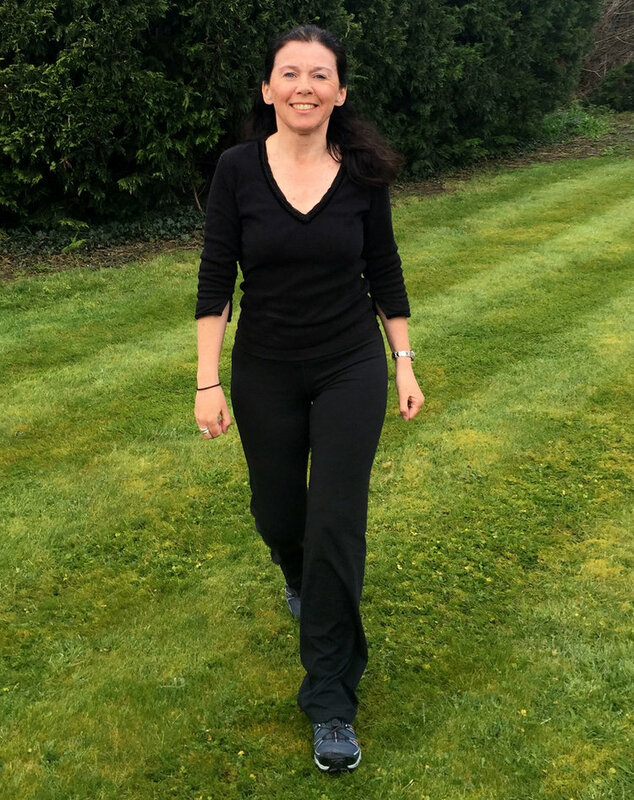 Emma did her first Moonwalk in 2014, "after a silly comment at a summer holiday lunch with teaching colleagues" but discovered #walk1000miles has kept her love of walking on the grow. How did you get into #walk1000miles? I carried on walkiing after the event this year, bought my second copy of Country Walking (the first was when I went to do the Yorkshire 3 Peaks in April for something to read), then I won a 500 mile badge and signed up to do that. I completed 500 mid-July and decided that as I was going to carry on walking I may as well aim for 1,000 – the Facebook group seemed so supportive of both challenges, it inspires you to keep on going! Your love of walking's really taken off! 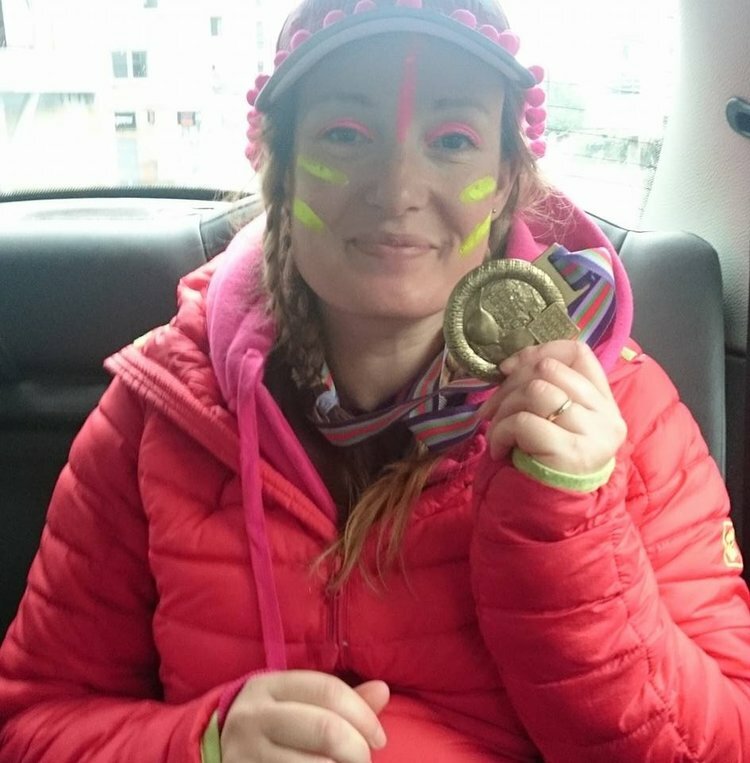 I like a challenge and that's what the Moon Walk was, and is, and I want to improve my time next year, but also have found out about so many other big events – such as the Thames Path, Cotswolds Way and want to do them all! I'm planning to do the Coast to coast and Essex way next year (my husband has promised me that we will do the Essex way, in parts, during the week of my 50th next November!) I'm also doing the national 3 peaks, so this is all part of my regime now. How well do you think they go together? Keeping walking little and often makes the big, one off challenges easier because you're already fit, so there's no quick training to fit it in. Doing the Moonwalk got me off my backside and start to do proper exercise again, but the 1000 miles gets you out and about, inspires you to see new places, even your normal environs, that you haven't seen or walked before. I won't stop: now I'm going try to top my mileage in 2017. I could go on and on! It's fun! It's healthy! It de-stresses you! Denise was a Moon Walk London veteran but found #walk1000miles upped her pace and her purpose ahead of 2016's event. How did you do in this latest Moon Walk? I did a lot of training, including power walking around Rutland Water, so I was confident I could do the distance and set a good pace. I had no problem with the distance, no blisters and was fine the next day. In fact on the night, the pace was much slower than I expected! And where we could get a pace up it wasn't always easy due to narrow paths, trees, cars and so on. Every mile suddenly counted so it kept me motivated. Knowing I had 45 minutes pushed me to walk at least 3 miles so it contributed to improving my pace as well as clocking up the miles! I got to 1000 miles in June. I think you can often feel a bit deflated after a one-off event as you put so much effort in and then its over. The support from other challengers in the Facebook group! Such a supportive bunch of people and a great way to get in touch with other people who were also doing the Moon Walk too!